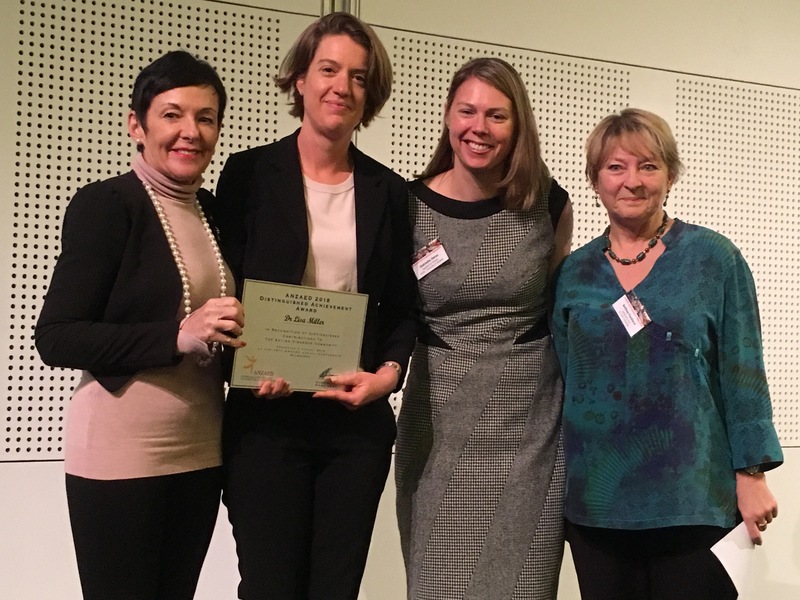 A Distinguished Achievement in the Field of Eating Disorders Award is awarded annually to recognise a distinguished contribution of an ANZAED member in one or more of the following fields related to eating disorders. The Lifetime Achievement in the Field of Eating Disorders Award will be made to recognise an ANZAED member who is in the latter part of their career and who has made an exceptional contribution over an extended period of time, i.e., some-one who had had a substantial career in the field. This Award may not necessarily be given every year. A reason(s) why you believe the nominee should receive the award. A biographical outline where possible. Provide the names of two people who would also be in a position to provide a reference for that person. Indicate whether you are nominating the person for a Distinguished Achievement or Lifetime Achievement award or both. A nominations committee will be convened by the Secretary. The committee will review applications and provide a shortlist to the ANZAED Executive Committee who will be responsible for the final selection. The award will be announced at the annual conference by the President. 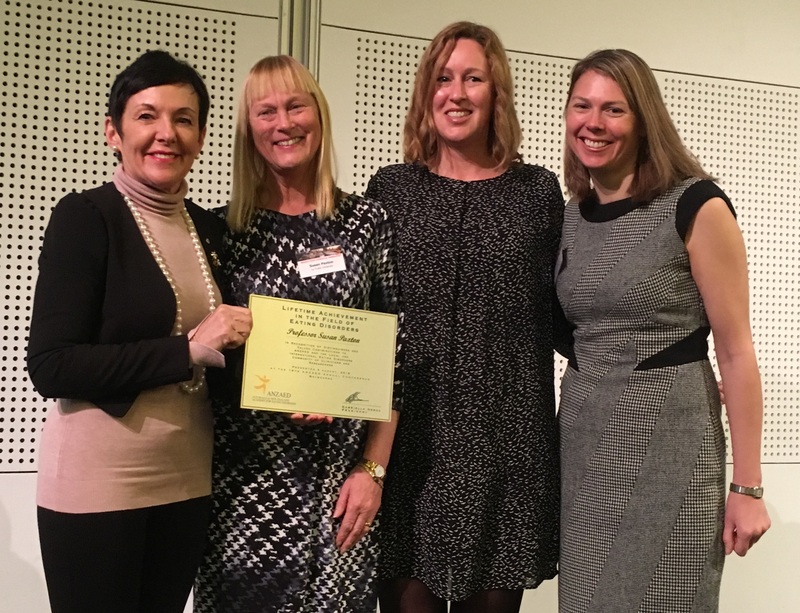 The ANZAED 2018 Lifetime Achievement Award in the Field of Eating Disorders was presented to Susan Paxton. Susan Paxton is Professor Emeritus in the School of Psychology and Public Health at La Trobe University. In her distinguished career as a clinical psychologist and academic, Susan has made an exceptional contribution to theoretical and applied eating disorders research, spanning from prevention to intervention, using self-help and group therapy approaches, and has investigated theoretical models of risk and development of bulimia nervosa, anorexia nervosa, disordered eating, and body dissatisfaction across the lifespan. Susan has published 186 papers in peer review and received the Academy for Eating Disorders Leadership Award for Research in 2013. She has also supported the development of the next generation of researchers in the field, having supervised 39 PhD/ Psychology Doctorate students. Susan is highly regarded as an expert in body image and eating disorders, having participated in state and federal advisory committees, steering committees such as the National Eating Disorder Collaboration (2011-2018), and as Chair of expert advisory panels. Susan has also contributed as President (2004-2007) and Secretary (2013-2017) of ANZAED and President of the Academy for Eating Disorders (2009-2010). The winner of the ANZAED 2018 Distinguished Achievement Award in the Field of Eating Disorders was Dr. Lisa Miller. Dr Miller has made significant contributions to changes in the treatment landscape in Western Australia. For over ten years Dr Miller has been the leading advocate for improved services for those with eating disorders. Lisa was a pioneer, providing specialist input to people who were admitted into medical wards. She developed a devoted team who learned how to provide compassionate, best-practice informed treatment. As a result of her leadership and constant pressure on senior administrators, a business case was written and we received funding to create WAEDOCS, the Western Australia Eating Disorder Outreach and Consultation Service. Lisa’s passion for her work is contagious, and her dedication to advocating for patients and providing best practice care for all is exemplary and is a leader in the field in that state, having advocated for treatment services at a level of contribution well above what would be expected in her role. This award was presented to Claire Middleton by President Beth Shelton on Saturday 2nd September in recognition of her tremendous work tirelessly and passionately carried out over many decades. She has been an advocatey in the field, and has established and nurtured the Butterfly Foundation, now a national advocacy organisation also involved in the delivery of a range of services. Claire is an innovator whose initiatives have changed the eating disorder field in Australia very much for the better, and continue to do so. Many people lives have been enhanced by her work – people with lived experience as consumers and carers, along with clinicians and researchers. This award was presented to Warren Ward by President Beth Shelton on Saturday 2nd September in recognition of the major contributions he has made to clinical treatment research and governance in field of Eating Disorders. Warren has worked tirelessly and successfully in the field of eating disorders and has established the Eating Disorders Outreach Service (EDOS) – now Queensland Eating Disorder Services (QuEDS), a comprehensive service incorporating inpatient beds, a day program and outpatient program and a statewide outreach and upskilling mechanism throughout Queensland for people treating eating disorders. Warren has been a dynamic and thoughtful member of the ANZAED Executive, a past Secretary and initiator of the ANZAED Social Media Committee program. 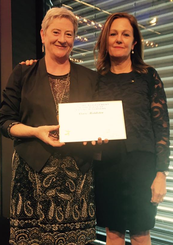 The 2016 awards was presented to Anthea Fursland by President Beth Shelton, in recognition of Anthea’s tireless and passionate works in the field of eating disorders carried out over her significant career. Anthea was President of ANZAED between 2011 and 2013. She has chaired two annual conferences (in 2008 and 2014), and has contributed significantly to the field, primarily as a clinician, but also as a researcher, educator and supervisor. She has been the chair of an international Conference on Eating Disorders in 2015, and is a leader and landmark of the eating disorder adult field in her home state of Western Australia. The 2015 Lifetime Achievement Award was won by Professor Phillipa Hay and was introduced by Stephen Touyz and awarded by Sloane Madden. Professor Hay is one of the founding members of ANZAED and has served for many years on the ANZAED Executive and for two years as ANZAED’s President. She has always been a great supporter of ANZAED in many different ways, however her contribution to the field of eating disorders goes far beyond her contribution to ANZAED. She has made an enormous research contribution and she has further built the reputation of Australians working in the eating disorder field with the establishment of the Journal of eating Disorders along with Stephen Touyz. Not only does she have a great vision for her field, but she also has the energy and common sense to make important things happen. 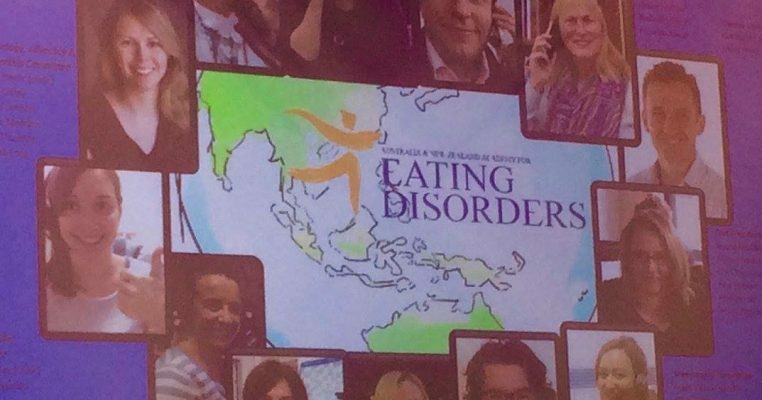 A Distinguished Achievement in the Field of Eating Disorders Award is awarded annually to recognise a distinguished contribution of an ANZAED member in one or more of the fields related to eating disorders, such as research, clinical practice, education/administration and advocacy. Loraine and Kate established EDASA together in 2012 in order to bring South Australia in line with every other state in Australia by providing a stand-alone service providing support, information and advocacy to people experiencing an eating disorder and their friends and family. As an unfunded organisation with an uncertain future, Loraine and Kate have continued to defy the odds with unwavering determination and passion towards fulfilling EDASA’s vision to reduce the incidence, severity and associated stigma of eating disorders in our community. 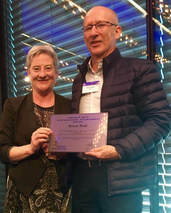 The award was presented by President Sloane Madden and Past President Chris Thornton in recognition of distinguished and valued contributions to ANZAED and the eating disorders community of clinicians, researchers and consumers. Stephen was one of the founders of ANZAED in 2005 and was our inaugural Treasurer.